A Great Assortment at an Excellent Value! 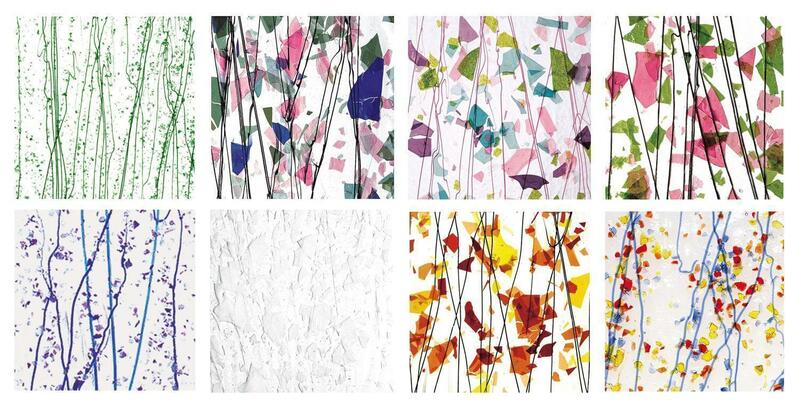 Sample the excitement of Bullseye Mardi Gras and Fracture-Streamer glass. 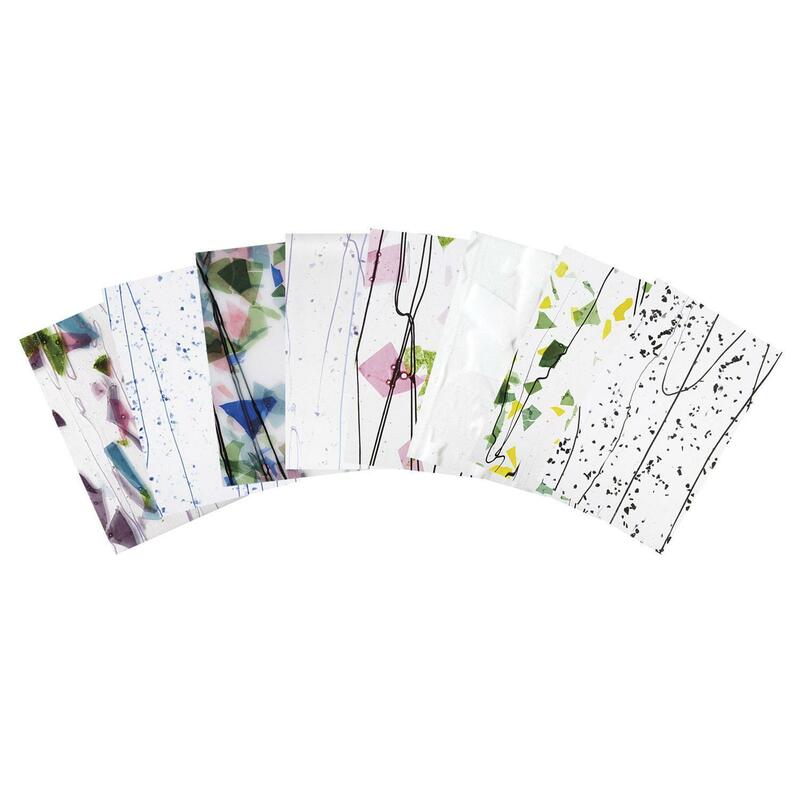 Stringers, frit and confetti add splashes of color creating an intricate background or bold focal point from a single sheet of glass. 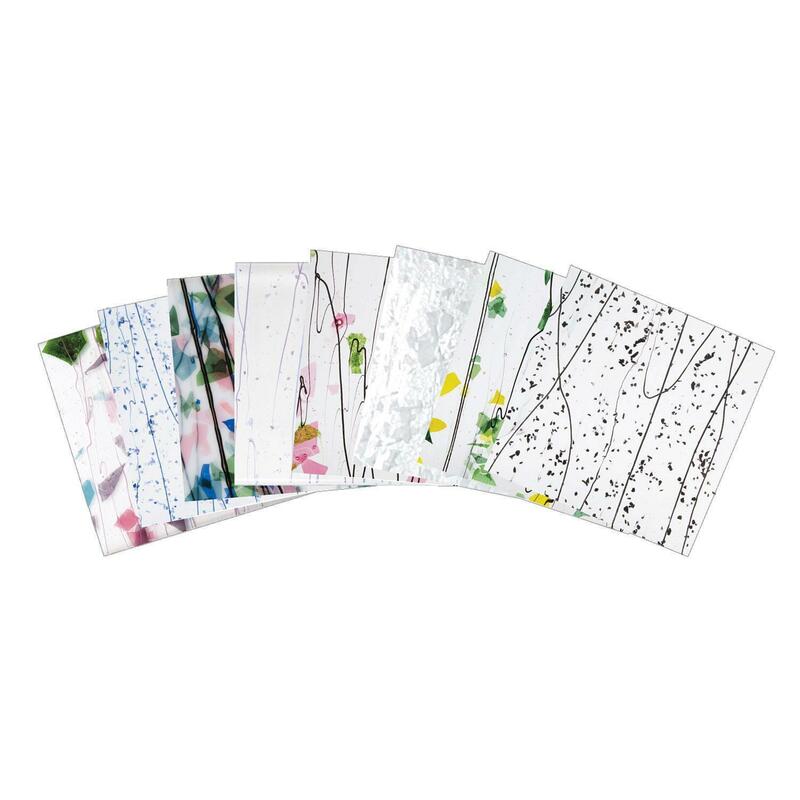 Convenient 5" x 8" pieces are perfect for suncatchers, small panels, jewelry or embellishing larger pieces.. Pack contains 8 pieces. 90 COE. 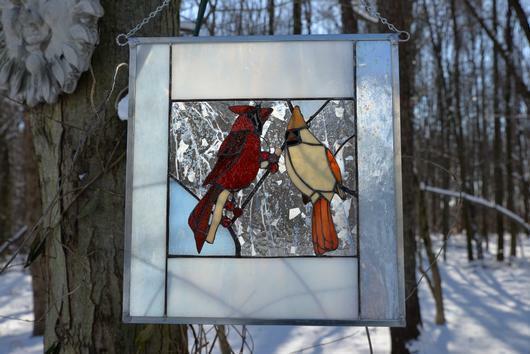 Cardinal suncatcher by artist Gabriele Bryant of Glass ArtScapes LLC from Delphi's Online Artist Gallery, dichroic heart pendant by Marsha Treacey of J M Stained Glass from Delphi's Online Artist Gallery.